Since Valentine’s day is around the corner, email marketers are putting their heads crafting lovey-dovey killer Valentine’s Day email campaign ideas. Before we jump into Valentine’s day email marketing, it is preferred to understand some data ahead. According to SEJ, over $13 Billion is being spent on Valentine’s Day. The average consumer spends $116.21, and every year it’s increasing. For both couples and singles, tangible gifts are not the only perfect products to sell for Valentine’s day. People are also looking to purchase experiences, such as date nights, movies, dining, and hotels. Below, we included some of the best examples of Valentine’s day email subject lines and promotional email examples that top brands used. Check it out to get inspired. 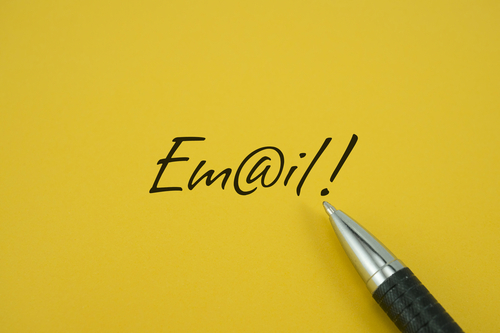 It’s time to come up with the subject line that stands out in the email subscriber’s inbox. Get inspired for your Valentine’s day email campaign subject line with these 105 examples. Sephora: Looking for the perfect Valentine’s Day gift for him? Passaggio Wines: Rosé for Valentine’s Day! Everlane: Stripes. A Love Story. Gilt CityFabKids: What will you wear this Valentine’s Day? LuLu: Be mine! Our Valentine’s shop is open? The inspiration is not over. Here’s a list of other top brands’ subject line examples for valentine’s day newsletter. Up To 65% Off Valentines Gifts! It’s not too late to get that perfect Valentines Day gift! SAVE on our newest markdowns and Valentine’s Day Sale!!! Only 2 Hours Left—Make this Valentine’s Day Memorable! An Early Treat For V-Day…$50 Off! There’s still time to find the perfect Valentine. Get 30% Off For Valentines Day! 24 Hours Only! Save 20% On All Orders – Happy Valentine’s Day! 💕 Take 30% Off Select Styles for Valentines Day! Ends TONIGHT: FREE Delivery for Valentine’s Day! Last Chance to Get Your Order by Valentine’s Day! Sleepin This Valentine’s Day! You’ve Earned It! You are still on time for your #SexyValentine! A Valentine’s Treat… 20% off! 25% OFF The Valentine’s Day Shop Starts NOW! Last Chance to Save for Valentine’s Day! Need a Last-Minute Valentine’s Day Gift? Valentine’s Day Sale! Now through Sunday, February 14! Valentine’s Day Sale! ♡ 20% off gifts, bags & wrap! Take 20% Off Last-Minute Valentine’s Gifts! Don’t Forget… Valentine’s Day Is Sunday! 25% OFF The Valentine’s Day Shop! Valentine’s is Sunday! Save 20% Right NOW! Happy (early) Valentine’s Day! FREE SHIPPING! Happy Valentine’s Day! Don’t Forget – Your 25% Off Ends Midnight! Happy valentine’s day! Shop our new arrivals! Hey, Valentine. Here’s 40% off. Valentine’s Day is even happier with free shipping. Better Than Roses: 30% off! Did You Forget? Today is Valentine’s Day! Happy Valentine’s Day + last day for extra 15% off Sale! Using emojis in your valentine’s day email subject line could help you to stand out in your email subscriber’s inbox. They’re fun, eye-catching and a creative combination that can undoubtedly make your email stand out from the crowd. Your Valentine’s day email template design has a lot to do with the success of your overall email marketing campaign. While you are creating your promotional email campaign, get inspired with these 19 ways to design your Valentine’s day email messages illustrated with 19 email template examples. Square comes with a bang. What is the better way to grab your subscribers’ attention than data-driven email copy. Unlike their usual brand colors, Square come with different shades of red to match with the special occasion. Beats by Dr.Dre came up with this pinkish email template, displaying products in colors matching perfectly the special occasion – the Valentine’s Day. They sent an image-heavy email that was clean and simple. If you are launching new products on Valentine’s day, using the occasion’s color scheme is also a perfect idea for your product launch announcement emails. Path is celebrating valentine’s day with this promotional sticker pack. Clever illustrations and a clear call to action make this enticing. A fresh look of Frank Body and the different content feel in their Valentine’s day letter. A lovely email template featuring a love letter. Plus, their subscribers have the option to send a love letter directly from the email. Catchy GIF used in this Valentine’s day email newsletter, bonus points for it being on brand color-wise. The messaging is clear and brief, letting the user know what the idea of the email is while keeping the copy short. The main content area is the catchy section of the email, and the secondary section compliments it with further details and a wide call-to-action button. Great use of imagery and products’ display. Unlike most Valentine’s day email templates it is not a ‘red email’ but still romantic and represents the occasion. Liking the layout mixed with romantic photography. This great example shows how you can make your customers feel both special and curious and encourage them to click. Can you tell what’s in the box? Nope! The only way to do that is to click. Also, the header and CTA button are actionable to help encourage you to do just that. Such Valentine’s email examples can only get trigger contacts’ curiosity and put them in the “I wanna know” mood. Valentine’s day messages are not only about sending “I love you” to your contacts, instead it is an occasion to get creative and make your email stands out of the crowded inboxes. New Balance wishes you a Happy Valentine’s Day in the most creative style. The email template features the image of a classic New Balance shoe, with laces aligned in a heart shape. 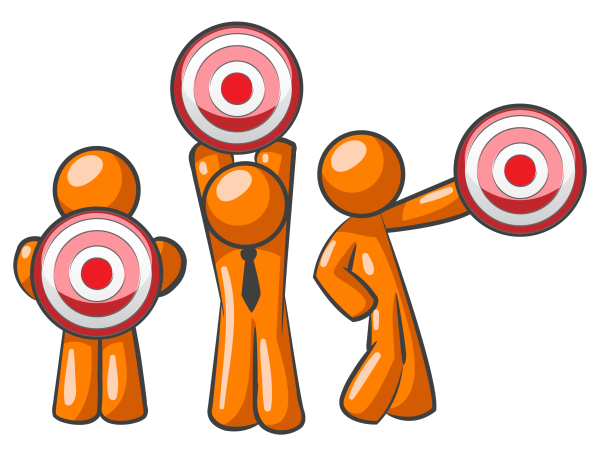 Give customers motivation to pick your store over a competitor. Offering limited-time discounts is an incredible method to pull in individuals who are intending to shop. On Valentine’s day, not all your contacts are in loving relationships, some of them might be single and you don’t want to leave those behind. Singles Swag never leaves their solo subscribers behind on Valentine’s day, instead, they send the following Valentine’s email example. According to SEJ, over half of all consumers are single – so don’t forget them on Valentine’s Day. On average, single men spend $71 and single women spend $40 on Valentine’s Day. If an image is worth a thousand word, what can be the worth of an animated GIF in your Valentine’s email newsletter? Here are some of the simplest, yet most appealing animated GIFs to include in your Valentine’s day email blast. Whether you’re newly dating, moving steadily along or in a truly committed relationship, choosing a gift is never an easy decision to make. AEO sent Valentine’s day newsletter as a timeline to make sure their subscribers find the perfect gift. Land’s End, a clothing retailer, comes with a Valentine’s Day newsletter, offering a little something for every member of the family. The products in each category are arranged as hearts. Your Valentine’s day email can be part of your thank you email campaign in which you demonstrate gratitude to your loyal subscribers and customers. Here is an excellent gratitude Valentine’s email example that doesn’t include any sales copy or promoting any product. You can get more personal with customers appreciation and put your team in front of the camera and share some love in your Valentine’s day email campaign. Charity Water blew life and love to their email with the following animated GIF. Valentine’s email campaigns are not exclusive only to online retailers. If you have a contact list you can benefit from the occasion and promote your physical stores. This email campaign can be useful for late-shoppers who cannot wait for their product to be shipped and instead they can pick it up immediately from a nearby store. Cards are the most purchased gifts during Valentine’s day with 52.1%. The stats already are telling you that it is a good idea to propose Valentine’s day email card to your subscribers. In the following email example, Scribbler promote their Valentine’s cards with a cute email design titled “Will you be my Valentine?” featuring several cards design. This uses a special design trick with the YES checkboxes to capture the attention. Swank also does it right by using a GIF in their animated Valentine’s day newsletter to promote their gift card. The CTA is large and prominent. With options to share the email on social platforms, the email is a perfect one for Valentine’s Day. Roses are red poems are forever popular. For variety, you can change the lines a bit- or something else completely. With so many possibilities, it just gets your creative juices flowing. Although gift-giving is an important part of Valentine’s Day, remember that people are at the center of it. So help your subscribers craft a plan for the day, with DIY ideas, and music playlists with romantic classics. A surprising example of this comes from Shutterstock. Every online shopper is a fan of overnight shipping, imagine if it’s free too? That is a winner for both customers and online retailers. With automated email workflows, you can retarget the contacts in your email list that haven’t opened/clicked your previous emails and remind them that it is time to order for their Valentine’s day gifts. With free overnight shipping as displayed in the example below, your customers will appreciate last-minute options, because it will help save them from being empty-handed on Valentine’s day. For contacts who still wouldn’t click your last-minute offer, you can take your email workflow further and send them an email where they can purchase a digital gift card at last. Valentine’s Day is a special event. Your beloved subscribers expect special promotional deals from you. It is the opportunity to have a great start of the year sales. We’ve done our part and shared with you the best Valentine’s day email subject lines and winner email design templates. Now the ball is at your court, make the best out of the occasion and share with us your creative lovey-dovey email examples. Code your emails meticulously – this is one of the best tips I can suggest for festive days. 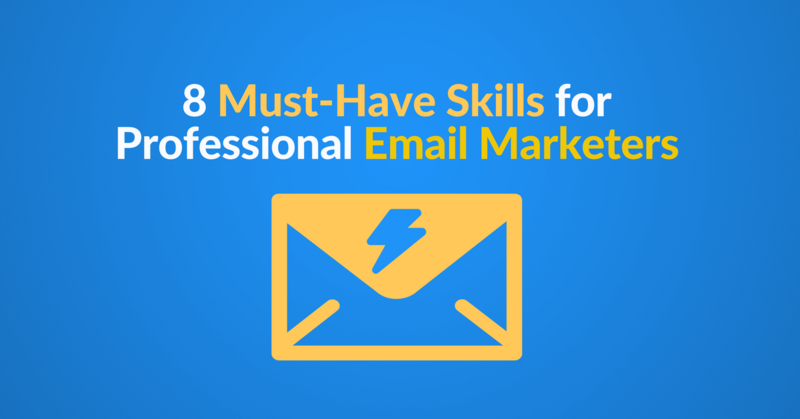 There are many email templates you can download for free, but they can ruin your business. I recommend you to use online builder like Postcards https://designmodo.com/postcards/ , the premium products are always the best coded and no risk to send. Thanks for the comment and resources. Yes, or use the email builder in your email marketing solution and make sure to send some test emails.